Genetic Technologies (ASX:GTG), a provider of world-leading genetic risk assessment test products, has announced the establishment of its Asian operations within the Hainan Resort Software Community (HRSC) Free Trade Zone. The company’s move into Asia includes the formation of Genetic Technologies HK Limited (the Hong Kong holding company investment vehicle) and Hainan Aocheng Genetic Technologies Co. Ltd (HAGTCL). Genetic Technologies has had significant success as an early-stage biotech with its proprietary BREVAGenplus clinically validated assessment test for non-hereditary breast cancer being a first to market product. 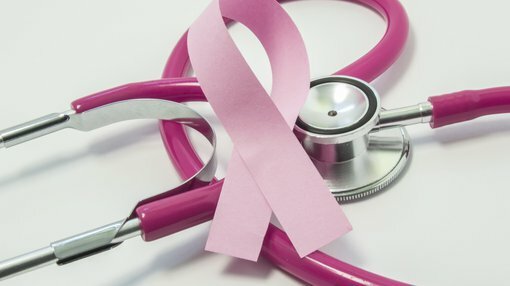 The company has had four patents granted in the US, with six pending that relate to breast cancer risk assessment, including markers for breast cancer and methods for genetic and genomic analysis. With regard to the HAGTCL investment vehicle, it will operate from within the Medical Pilot Zone established in what is known as “the Hainan Smart City”, a precinct that already includes many world renowned technology companies. Participants in the Hainan Medical Pilot Zone gain access to the Chinese healthcare market valued in excess of US$800 billion. Companies approved to operate in China as part of the Hainan Free Trade Zone initiative can take advantage of significant tax benefits, subsidies and facilitated investment. The underlying government policy supporting this initiative is important for a company such as Genetic Technologies, as its ‘Healthy China 2030 Policy’ demonstrates a commitment to investing in research that aims to achieve ‘prevention is better than the cure’ style of health outcomes. GTG Chairman and CEO, Dr Paul Kasian (front row, 3rd from left) proudly accepting the formal documentation to establish Genetic Technologies’ operations in Hainan, China. The Hainan Provincial Government has established a world-class technology zone in Hainan and Genetic Technologies is delighted to be one of only a few medical technology invitees to date. In addition, the HRSC will also support the company’s Chinese market entry through the provision of a range of services. These include office space in the Free Trade Zone precinct and complementary accommodation for company staff. As well as receiving Chinese corporate registry support, Genetic Technologies would also be entitled to marketing assistance, providing a link with government sectors, hospitals and other Chinese based health enterprises. Importantly, assistance would also be provided in obtaining China FDA approval for the group’s new and growing portfolio of genetic risk assessment tests, substantially fast tracking the pathway to sales process. Genetic Technologies’ researchers would also benefit from access to test samples from the Chinese ethnic population, facilitating new product development. The establishment of operations follows on from the formal invitation to Genetic Technologies from the Hainan Provincial Government received in August 2018. At this stage, it was envisaged that a joint venture with Zishan would form part of its China initiative, however the joint venture approach will not be progressing at this time. Instead, Genetic Technologies, through its wholly-owned subsidiary HAGTCL, will work to introduce its world-class genetic risk assessment tests to the Chinese market. Commenting on the benefits of the joint venture agreement, Paul Kasian, Genetic Technologies’ chairman and chief executive said, “This initiative is likely to include partnering with Chinese health and medical distribution companies and CFDA accredited genetic testing laboratory operations. “The Hainan Provincial Government team will help us find appropriate collaboration partners in mainland China. “The establishment of operations in Hainan China is a significant step to advance the adoption of genetic risk assessment tests in China and in due course other parts of Asia. Genetic Technologies will be paying its part in growing the suite of world-leading genetic risk assessment test products that will become central to China’s future preventative medicine activities.